Riding bicycles has many benefits. It’s great exercise, an affordable way to travel short distances, and an inexpensive mode of transportation. With the launch of New York Citi Bike Program, bicycling has gained even more popularity throughout New York City. As more bicyclists take to the roads, we need to remember that bicycling can be dangerous, especially in a traffic congested city such as NYC. In the event that you experience an unfortunate bicycle accident, its important to know what to do if you are hit by a car. I Was Hit By A Car Riding My Bicycle! What are My Legal Options? If you had the unfortunate experience of being in an accident with a vehicle while riding your bicycle, its important to understand your legal options. Basically, your legal options would be similar as if you were in a car and experienced an accident. Although similar, there is a major difference. 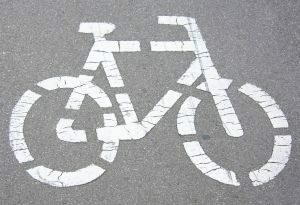 As a bicyclist, you are not required to carry car insurance. Understanding your rights and the procedures is the best way to help obtain compensation for your injuries. Some of these procedures may seem obvious but its important to cover as much as possible. – Use common sense and get out of immediate danger. If there is immediate danger and your able to move, you should move to a more safe location. – When possible get the other parties information. Take a picture of the driver, the driver’s license, and the drivers car (include license plate). – Call an ambulance or the police. Your injuries maybe more serious than you perceive. – Look for witnesses and get their information. – Make a police report and include all potential injuries. – When possible take pictures of the accident scene. – Receive medical attention and get checked out by a doctor. – You can potentially file a claim under your own standard health insurance policy. If another party is at fault, such as the driver of the car, your insurance company may seek reimbursement from the at fault party’s insurance carrier. – File a claim with the “at fault driver’s” insurance carrier. This is usually a primary option when the driver is at fault and the accident did not occur in one of the “no fault states“. – If you have car insurance, you can potentially file a claim with your own personal injury protection (PIP) and when applicable, a family members PIP. – If you or a family member has PIP coverage and you live in one of the previously mentioned no fault states, you are obligated to make your injury claim under that policy, regardless of fault. In certain circumstances your injuries can qualify you to pursue a claim against the at fault driver. If you have been injured on a bicycle in New York, please contact Pulvers, Pulvers & Thompson at (212) 355-8000 for a free consultation. As NYC personal injury lawyers, we can advise you on how to proceed, negotiate with insurance companies and represent you in a lawsuit. We provide a free personal injury consultation about your case and our fees are contingent; meaning we only get paid when we win.